PTS has been an advocate of renewable energy technology for a number of years and opened its dedicated renewables branch in 2008, the first facility to use working displays to educate installers. With the evolution of the renewables market in the UK, PTS are now leading the way in the supply of renewable energy products direct to its customers. PTS decided it was about time they updated their marketing collateral to illustrate the diverse range of renewable products they stock, which are available within their 300 branches. The new Renewables guide is the first PTS brochure to solely promote Renewable and Sustainable Energy products. We designed a 56 page A4 product guide depicting products which are available under section headings such as ‘Solar Thermal’ and ‘Rainwater Harvesting’. This involved collating and artworking information from over 30 of PTS’ suppliers. 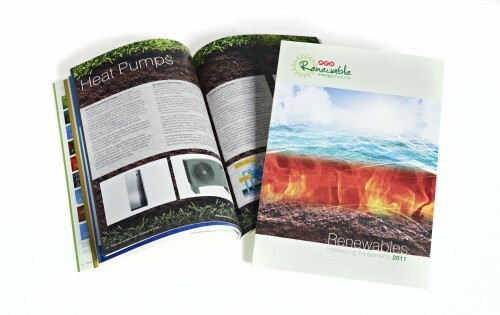 Using emotive imagery to represent the different elements, together with product images and product features and benefits, this clear and concise brochure offers a great overview of PTS’ Renewables offering. This brochure will be used as a key sales tool for branches to use to help sell and advise on the various renewable ranges. The BSS Group is established as one of the UK’s leading companies supplying both the industrial and domestic markets with heating, plumbing, process and mechanical services equipment. Plumbing Trade Supplies forms part of the Domestic Division of The BSS Group and have always supplied a comprehensive range of bathroom, heating and plumbing products to a wide range of customers. We have been asked by Heathrow Airport to create a set of internal stakeholder communications to create a buzz of excitement and engage them in the redevelopment of Terminal 2. Initially we have designed a bi-monthly newsletter, ‘T2 Taking shape’, which has been emailed to staff outlining the construction programme and key milestones for the project. 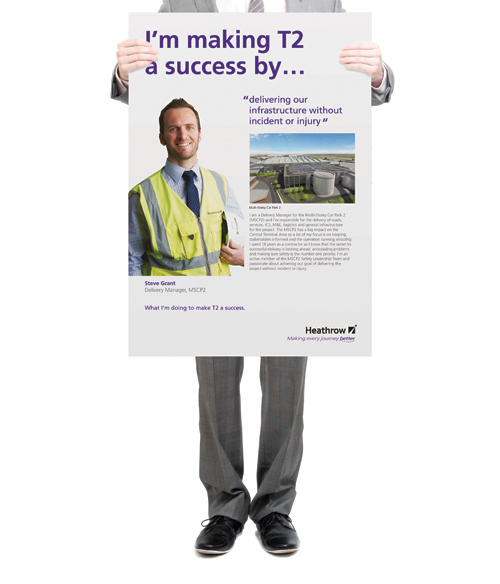 Following this we designed a series of posters which depict staff’s individual involvement in the T2 project. Three of these poster designs, along with matching tent cards, have just been printed and will be circulated throughout Heathrow.